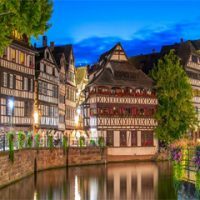 To start our Alsace private tour, we will do the shuttle from Paris to the city that you will be staying in the Alsace which is Strasbourg. We will make the private visit of the city of Reims. 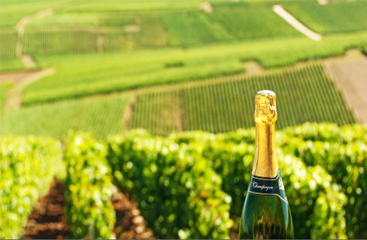 Reims is considered the capital of the champagne and the main city of Champagne. It is also called “the city of coronations” and “city of the kings”. We will have a guided tour of the city of Reims passing by the Palace of Tau, Reims Cathedral, Hotel de Ville and Abbey Saint-Remi. Visit with the possibility to stop for a wine tasting. 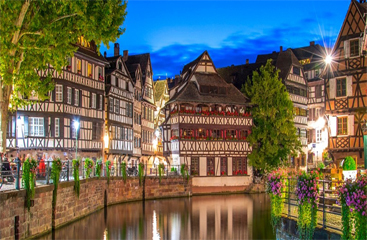 Obernai, which exists since the Roman period, combines the medieval and Renaissance periods. 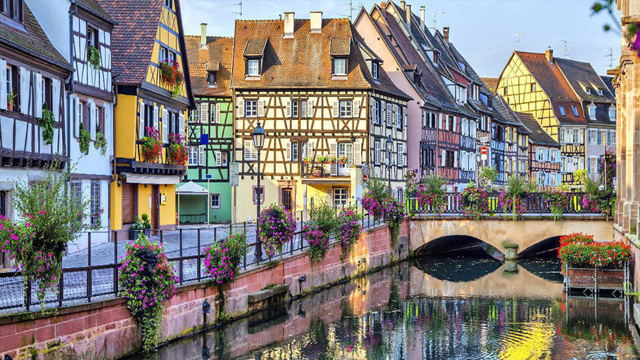 The houses follow the pattern of other cities in Alsace, made in the enxaimel style: With cross timbers and colored mortar. 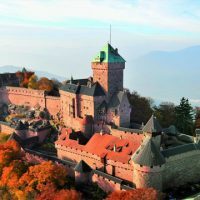 The haut-koenigsbourg is a fortified castle from the 12th century, which for centuries crossed several wars between emperors, kings and dictators being virtually destroyed in the 17th century. From 1900 the castle was restored and is still well preserved until today. The building where is the town hall is one of the main points of the city, in addition to the en Maison des Ménétriers, one of the most decorated houses of the city. There are also numerous winstubs by city, where is possible to taste the wines Riesling and Gewurztraminer. The city owns buildings from centuries 15 and 16, among them the Dolder, a tower that once formed part of the medieval wall that surrounded the city and is one of the taller buildings of the village. Almost every town has roots in the same season and, as she was little affected by wars, a good part of the constructions are still the originals. The city has more than 20 Winstubs, who are wineries where it sells the wine produced in the region. 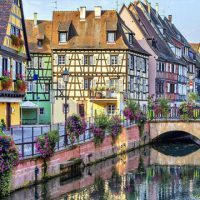 Colmar is the third largest town in the Alsace region, after Mulhouse and Strasbourg and is one of the most beautiful, mainly because of its famous ‘La Petite Venise’, channels surrounded by quaint houses, remembering well the famous Italian city of Venice. 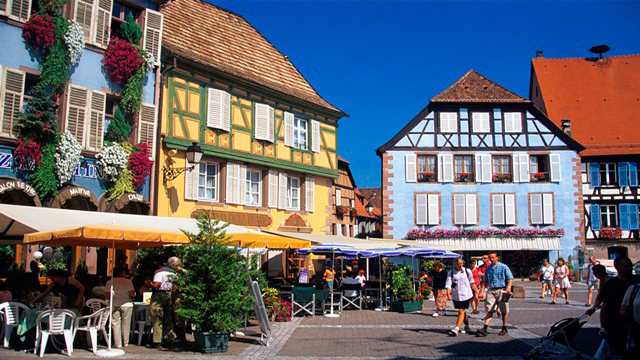 Eguisheim is located in the wine region of Alsace and is one of the many picturesque towns of Route du Vin (Wine Route), in the eastern region of France. 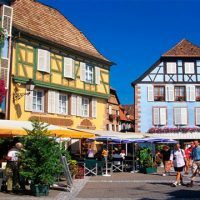 Eguisheim has more than 800 acres (339 hectares) of vineyards and is known for being the cradle of the Alsatian wine industry. Its micro-climate is perfect for viticulture. 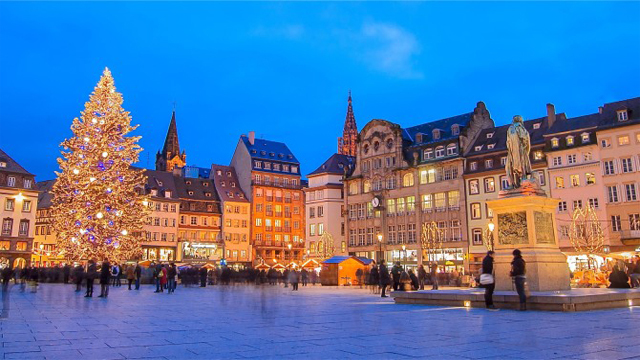 In this way, do not miss the opportunity to try out the local wine during your visit – the wines of Alsace, Eguisheim is one of the centers of this important local activity. In 2013, Hubert was voted the Ville préféré des Français (City/Town preferred by the French), an honor granted to a different city in France every year. 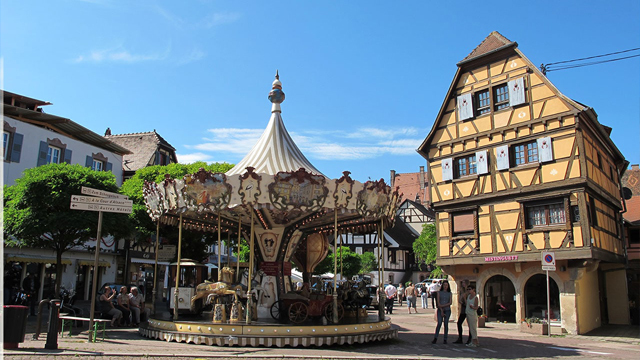 The castle of Eguisheim is from the VIII century, supposed birthplace of Pope St Leo IX (1002-1054). 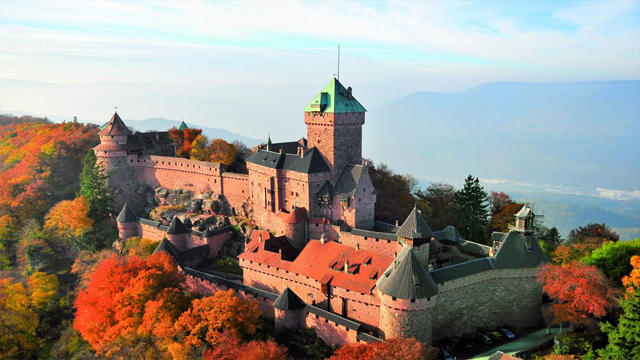 The romantic Kaysersberg, or “Mountain of Emperor” in German, is considered one of the most beautiful cities of the Wine Route of Alsace. It is surrounded by a vast plantation of grapes which dominates the mountains of the city. Lovely! The first vines were brought to the city in the 16th century, coming from Hungary, and the production of wine is still today an important aspect of the economy of the city. Today, Kaysersberg and its medieval atmosphere are a perfect setting for the festivities of the region that crowd of visitors in summer. 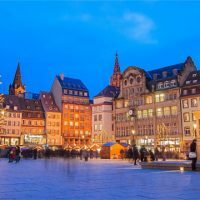 What includes the Alsace Private Tour ? 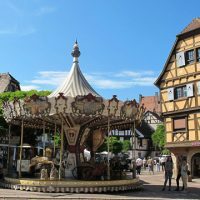 We were looking for ideas for doing a private tour in Alsace and finally we found Pierre and his services. We left Paris and spent 4 wonderful days in the area. We visited the cities with Pierre who speaks a spectacular English with French charm. Very good, we love it all. Great tour of the cities and cellars in Alsace. 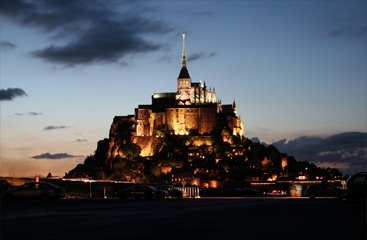 Our focus was about the wine route and some picturesque towns. We also visited the city of Reims, the visit of the Alsace was well developed, quite enriching. Special mention to Pierre, very attentive and friendly always seeking to answer all our doubts and curiosities, we had a great exchange of ideas.